We lead double lives. We think in abstractions like Love and Freedom and Nation, but we dwell in the world of physical specificity: this time, this place, this location. Michelangelo’s David sculpture, for example, floats weightless in the collective mind. How far are you, right now, from its image? Probably less than 20 feet, if you count looking it up on the Internet. But I have seen David, and it sits in a specific room in a specific building at a specific address. Music is just as much a hostage of a particular set of contingencies as the humblest sculpture. A musician is born in this place, her sound is associated with this studio, her music is understood in this context. Oral history ties the general icon to the specificity of the world. It does this by taking the abstract giant, a creature of an agreed-upon narrative that everyone knows, and sourcing that figure to many voices speaking from multiple perspectives. It’s history from the grassroots, and the grass knows everything. Roger Steffens’ new book, So Much Things to Say, ties Bob Marley, the Jesus of Reggae, to the slums of Kingston, Jamaica. Steffens’ text reminds us of an icon’s embedded nature, enmeshed in tentacles of circumstance. In history, some figures stand out like tall trees. Popular wisdom usually has no explanation, except to say, “Isn’t it funny that happened?” But oral history shows the rootedness of such titans. If you know where one originated, you can trade belief in a single, miraculous figure for the certain knowledge that whatever conditions produced the miracle must have been miraculous as well. Steffens’ book reveals the blast radius that great detonations make. It’s all here in the text—the words that have long been known but little spoken. Steffens got people to talk, all of them…except Marley himself. There is an immediacy to related experience that casts rumor and exaggeration into distorted shadows. 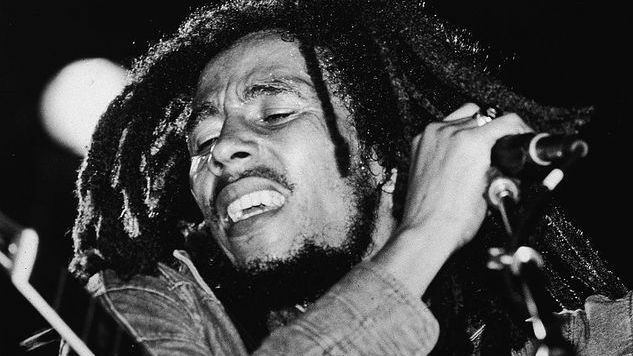 How many words have been written about “No Woman, No Cry,” and how pale do those stories look when the actual circumstances of its composition are related? The outlines of Marley’s well-known life history are present in this book. But here, like in a historical novel, we discover new details. Marley is not a demigod here, but an unwanted boy who fell upon the gift of brightening the world. Here is Marley in his Pittsburgh finale. Here he is visiting Zimbabwe. Here is his troubled relationship with his family. Here is the mentorship with Nash, the bullet lodged in his foot, the feud with Perry. So Much Things to Say reveals a Marley of flesh and blood who passed too young in a world that was never too old to learn. “In the abundance of water, the fool is thirsty,” the singer said, and there is water aplenty here. Drink and be satisfied.